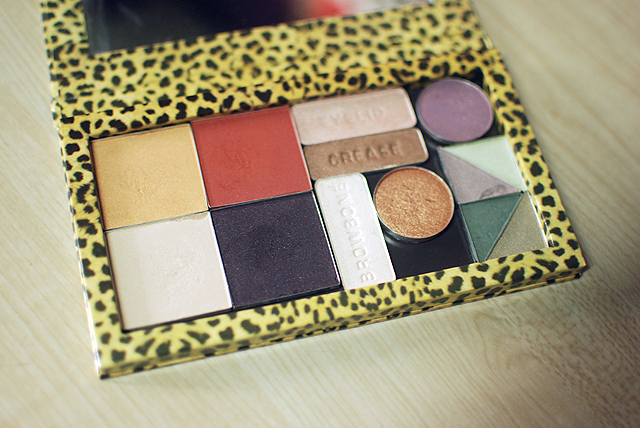 What’s in my Wild Peach Palette? Sorry to possibly mislead you into thinking this was going to be exciting. I am in a sort of need to depot shadows right now, though, but a) I don’t have a spare palette, and b) I don’t really have all that much single eyeshadows to put into palettes. It’s just therapeutic, man. For the uninitiated, a Wild Peach Palette functions basically the same way as a Z-Palette. 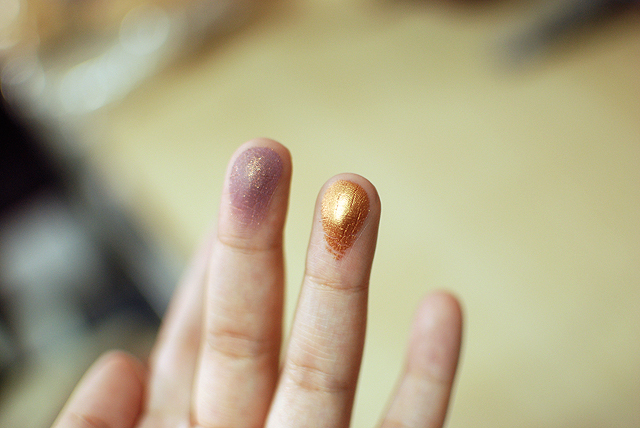 You can “depot” eyeshadows (that come in a metal pan), and stick them on there. 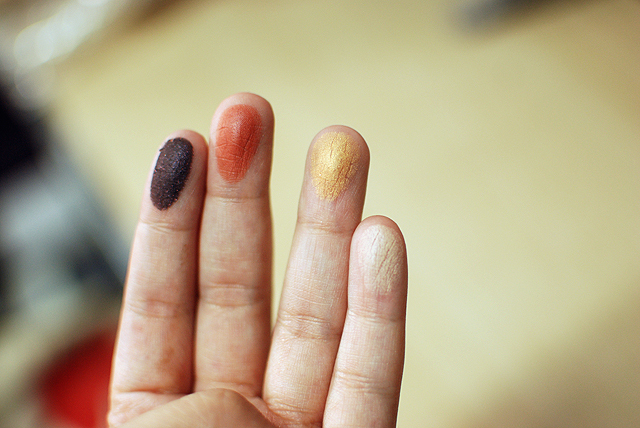 This is good for customizing colors, or saving space when you have a ton of single eyeshadows. 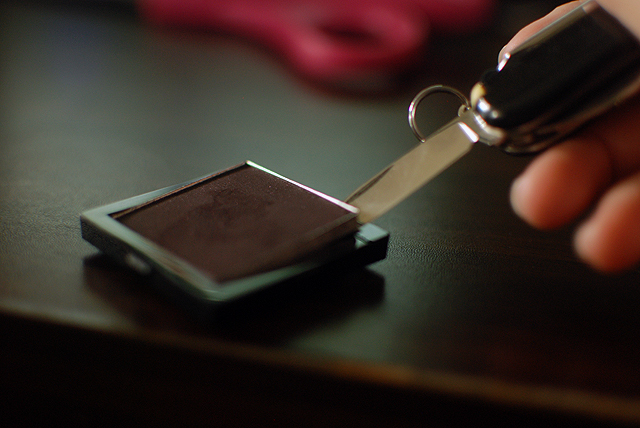 I’ll quickly swatch them for you, so you have an idea of what colors I have in this little palette. I think it’s actually a pretty good selection, though I’m missing a few colors like blue (which I never really wear anyway). 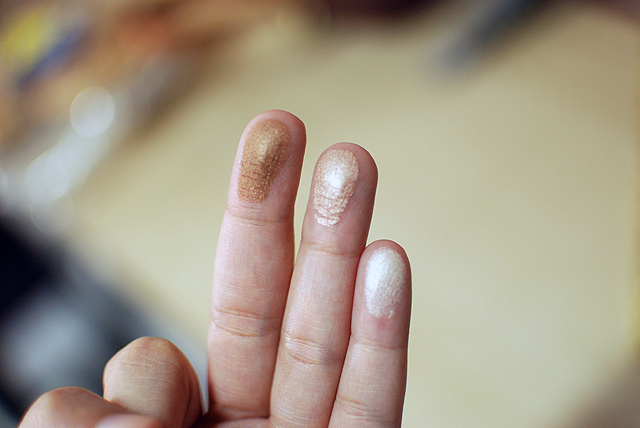 The one I use the most is Beach Sand, which I sometimes use instead of Laura Mercier’s Vanilla Nuts, on my browbone. It’s great because it’s a satin finish and not too frosty. And for kicks, I tried to look for similar colors. Right away, we can see that Amber Lights is deeper and more coppery than Half Baked. African Violet seems close, though. 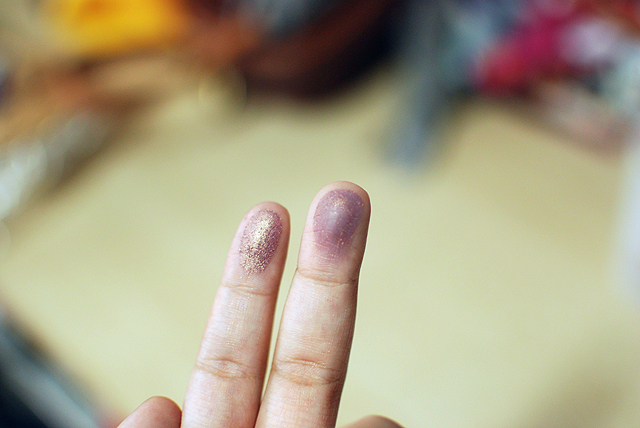 Both have a similar base, a mid-tone dirty purple, and have gold flecks running through it, though the reflects are more visible in African Violet. They are both more high end/expensive, though, so just pick one you like better. And that is it! I fit in about 13 eyeshadows, though I’m sure those can fit more. The Fanny Serrano pans are bigger than usual (not complaining), so that’s probably why it didn’t have room for more. They were the easiest to depot, though. The singles come in three pieces. You pop out the inner plastic container by pushing the bottom of the pan. 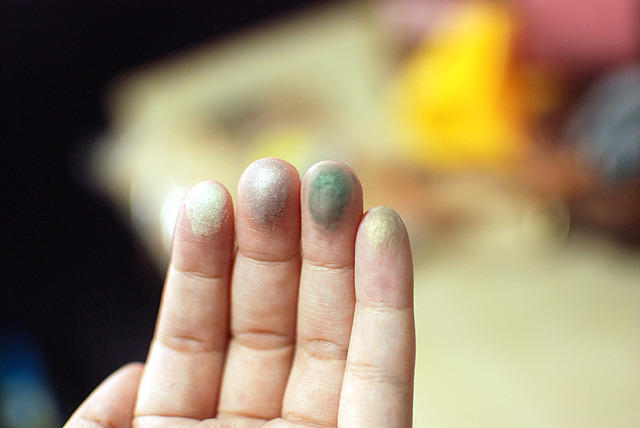 You can actually buy an empty palette case from Fanny Serrano for these shadows, too, if you want to keep them a bit more uniform or something. I wiggled a thin blade between the metal pan and the plastic and tilted it out. The glue they used was still wet and sticky, so it was easy to depot without heat. The hardest to depot was e.l.f. (you can see I cracked one because I was impatient). MAC was relatively easy, as was Wet n Wild, though it seemed to be more hazardous. Anyway, super happy with my purchase. 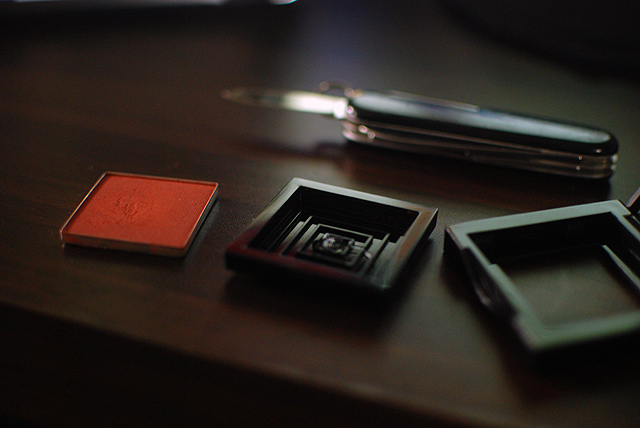 The palette is magnetized and it comes with a magnet sticker sheet to stick to the back of your pans. Some pans do stick on without having to put the magnet sheet (e.g. Tarte Amazonian Clay 12-Hour Blushes). I would love to get more for my blushes, but I don’t want to get the bigger ones, and those seem to be the ones that fit my “collection” better. The personal palettes come in 4 patterns (leopard, pink polka dot, white polka dot, damask), and the larger palette comes in black with a transparent lid, if I’m not mistaken. You can buy these here. Thanks for reading and if you have a Wild Peach Palette, I would love to know what you put in it! I need your camera/ photography skills and those colours. You have officially made me jealous! Aw, thank you! 🙂 I’m using a Nikon D80 + a 35mm lens in case you were curious. 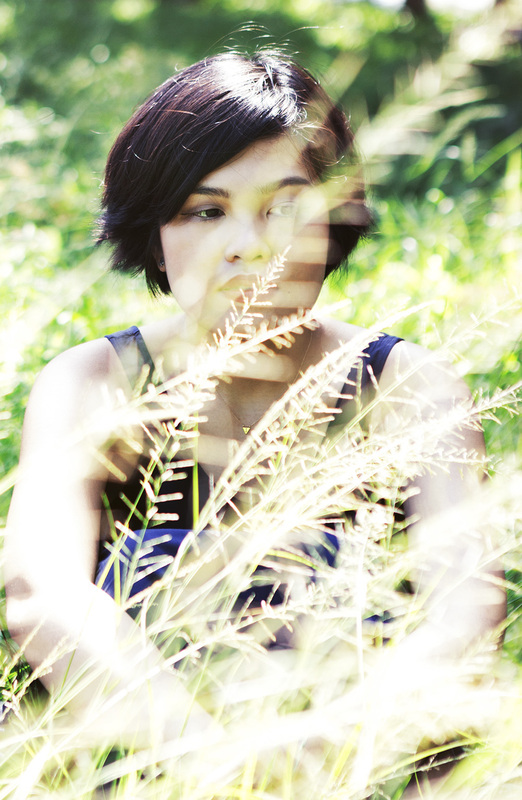 Yup, super ganda! I hold it over an open flame and melt the plastic. Safety first, when/if you decide to try it! Ah, I’m sure you do! 🙂 It’s such a pretty color. I’ve always wanted to de-pot but never got around to it. The WnW Walking on Eggshells palette is calling me… And can I just say, this set of eyeshadow collection you have is pretty pigmented, all looking so buttery! 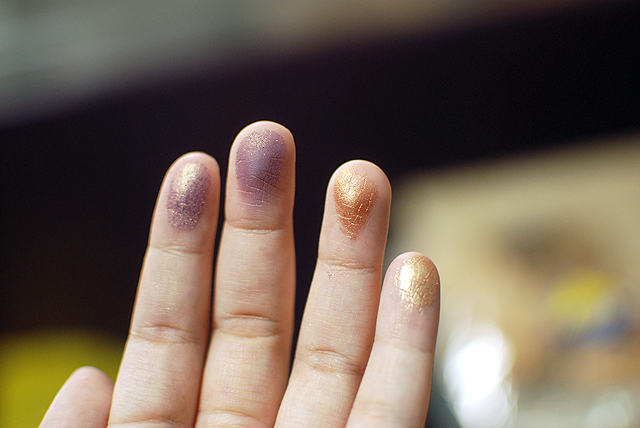 Laura Mercier African Violet looks so YAMMY! It’s very soothing, though I do suggest you do it in a well-ventilated area (aka, outside) if you’re going to be depotting those that need an open flame! The WnW palette is awesome for the price, even with the PH markup. And yes, I think you would enjoy African Violet a lot.